A Mi-28N helicopter performs a demonstration flight at the Aviamix airshow at the Dubrovichi range, August 2015. The contract to supply the Iraqi air force with the aircraft, which have already shown their worth in Russia's Syrian operation, is estimated at $4.2 billion. Russia's arms export agency Rosoboronexport has delivered a dozen Mi-28N Night Hunter helicopters to Iraq in accordance with a 2012 agreement, says a source within the Russian defense industry. "The contract indicates that a total of 48 Mi-28N helicopters will be supplied to the Iraqi air force," said the source. According to Dmitry Safonov, military observer at the Izvestiya newspaper, the contract to supply Iraq with the helicopters is estimated at $4.2 billion and the cost of the combat helicopters - with equipment and arms - that have already been supplied is more than $1 billion. 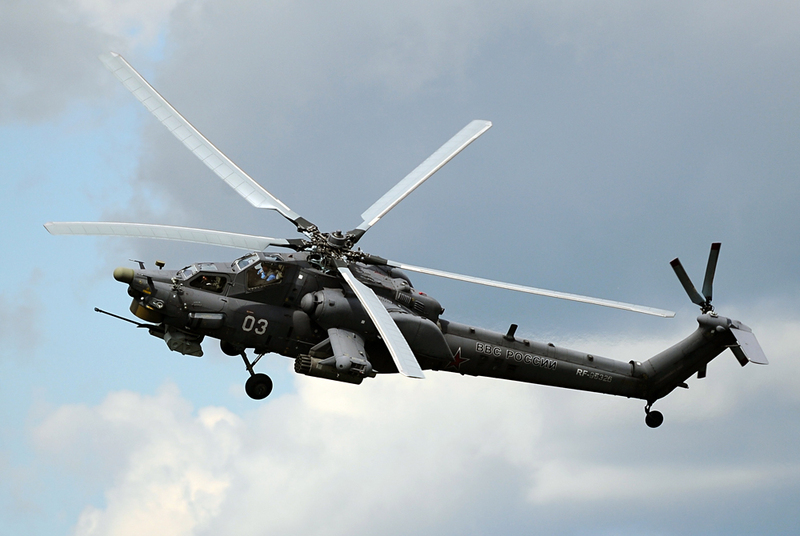 Mi-28N helicopters were used in the operation to liberate the city of Palmyra in Syria, which ended on March 27. This video shows the destruction of an ISIS armored vehicle with the help of guided anti-tank missiles and afterwards, the elimination of militants in a Palmyra house. This is the first evidence of the use of the Night Hunter against ISIS militants. Earlier, these helicopters were used only for guarding the Kheimim airbase, where the Russian air force group was stationed.